#Church #TheChristianChurch #Life #Death #Hereafter #Wars #Earthquakes, #kidnap #terrorism #election #Corruption #BREXIT #mpeachments #TradeWars #ChurchSplits #EthiopianAirline #angels #JesusChrist #unity #WakeUpCall #ACallToUnity Subject – The Christian Church – Questions about Life, Death and the Hereafter – Does God keep the Church in the Dark? 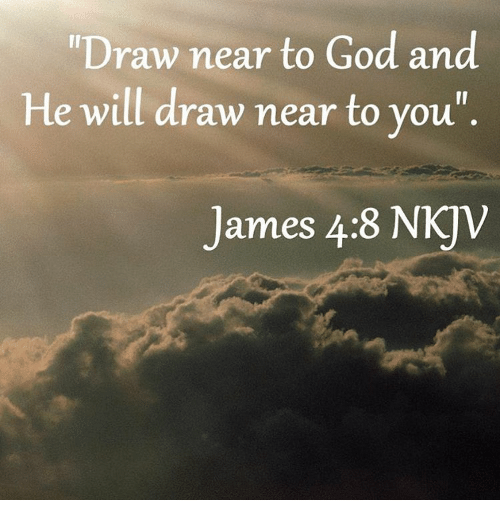 Absolutely not – Part 11.docx OTAKADA.org content count 2,115,688 Sunday, 17th of March 2019 Blog link: https://www.otakada.org/ NUGGETS OF WISDOM: God is still SPEAKING, WORKING, REVEALING and DOING awesome things in our midst…God always checks my heart not my head for authenticity of my quest for answers to what i don’t know or understand…If it is not important to me, He will not volunteer the information. Even when He does by His grace, i will not pick it up…How important is it to me? 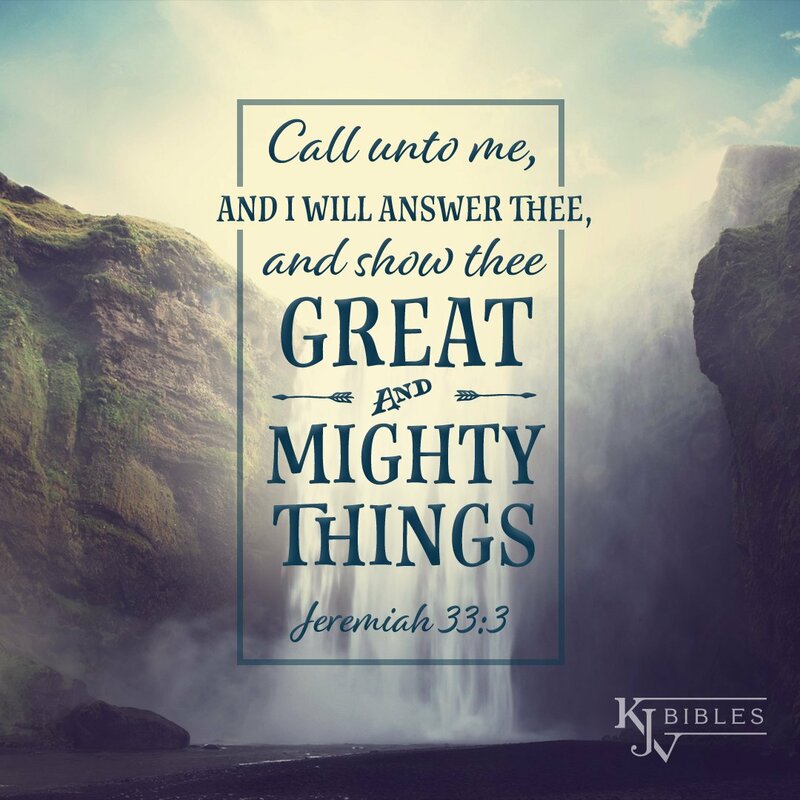 My thoughts are drawn from Jeremiah 33:2-3 and Jeremiah 29:12-14 12 “When you call on me, when you come and pray to me, I’ll listen. 13-14 “When you come looking for me, you’ll find me. “Yes, when you get serious about finding me and want it more than anything else, I’ll make sure you won’t be disappointed.” God’s Decree. “I’ll turn things around for you. I’ll bring you back from all the countries into which I drove you”—God’s Decree—“bring you home to the place from which I sent you off into exile. You can count on it. Key verses for Today: Jeremiah 33:2-5 The Message (MSG) Things You Could Never Figure Out on Your Own 33 While Jeremiah was still locked up in jail, a second Message from God was given to him: 2-3 “This is God’s Message, the God who made earth, made it livable and lasting, known everywhere as God: ‘Call to me and I will answer you. I’ll tell you marvelous and wondrous things that you could never figure out on your own.’ 4-5 “This is what God, the God of Israel, has to say about what’s going on in this city, about the homes of both people and kings that have been demolished, about all the ravages of war and the killing by the Chaldeans, and about the streets littered with the dead bodies of those killed because of my raging anger—about all that’s happened because the evil actions in this city have turned my stomach in disgust. Mark 12:25-27 The Message (MSG) 24-27 Jesus said, “You’re way off base, and here’s why: One, you don’t know your Bibles; two, you don’t know how God works. After the dead are raised up, we’re past the marriage business. As it is with angels now, all our ecstasies and intimacies then will be with God. And regarding the dead, whether or not they are raised, don’t you ever read the Bible? How God at the bush said to Moses, ‘I am—not was—the God of Abraham, the God of Isaac, and the God of Jacob’? The living God is God of the living, not the dead. You’re way, way off base.” John 14: 1 – 31 The Message (MSG) The Road 14 1-4 “Don’t let this throw you. You trust God, don’t you? Trust me. There is plenty of room for you in my Father’s home. If that weren’t so, would I have told you that I’m on my way to get a room ready for you? And if I’m on my way to get your room ready, I’ll come back and get you so you can live where I live. And you already know the road I’m taking.” 5 Thomas said, “Master, we have no idea where you’re going. How do you expect us to know the road?” 6-7 Jesus said, “I am the Road, also the Truth, also the Life. No one gets to the Father apart from me. If you really knew me, you would know my Father as well. From now on, you do know him. You’ve even seen him!” 8 Philip said, “Master, show us the Father; then we’ll be content.” 9-10 “You’ve been with me all this time, Philip, and you still don’t understand? To see me is to see the Father. So how can you ask, ‘Where is the Father?’ Don’t you believe that I am in the Father and the Father is in me? The words that I speak to you aren’t mere words. I don’t just make them up on my own. The Father who resides in me crafts each word into a divine act. 11-14 “Believe me: I am in my Father and my Father is in me. If you can’t believe that, believe what you see—these works. The person who trusts me will not only do what I’m doing but even greater things, because I, on my way to the Father, am giving you the same work to do that I’ve been doing. You can count on it. From now on, whatever you request along the lines of who I am and what I am doing, I’ll do it. That’s how the Father will be seen for who he is in the Son. I mean it. Whatever you request in this way, I’ll do. 15-17 “If you love me, show it by doing what I’ve told you. I will talk to the Father, and he’ll provide you another Friend so that you will always have someone with you. This Friend is the Spirit of Truth. The godless world can’t take him in because it doesn’t have eyes to see him, doesn’t know what to look for. But you know him already because he has been staying with you, and will even be in you! 18-20 “I will not leave you orphaned. I’m coming back. In just a little while the world will no longer see me, but you’re going to see me because I am alive and you’re about to come alive. At that moment you will know absolutely that I’m in my Father, and you’re in me, and I’m in you. 21 “The person who knows my commandments and keeps them, that’s who loves me. And the person who loves me will be loved by my Father, and I will love him and make myself plain to him.” 22 Judas (not Iscariot) said, “Master, why is it that you are about to make yourself plain to us but not to the world?” 23-24 “Because a loveless world,” said Jesus, “is a sightless world. If anyone loves me, he will carefully keep my word and my Father will love him—we’ll move right into the neighborhood! Not loving me means not keeping my words. The message you are hearing isn’t mine. It’s the message of the Father who sent me. 25-27 “I’m telling you these things while I’m still living with you. The Friend, the Holy Spirit whom the Father will send at my request, will make everything plain to you. He will remind you of all the things I have told you. I’m leaving you well and whole. That’s my parting gift to you. Peace. I don’t leave you the way you’re used to being left—feeling abandoned, bereft. So don’t be upset. Don’t be distraught. 28 “You’ve heard me tell you, ‘I’m going away, and I’m coming back.’ If you loved me, you would be glad that I’m on my way to the Father because the Father is the goal and purpose of my life. 29-31 “I’ve told you this ahead of time, before it happens, so that when it does happen, the confirmation will deepen your belief in me. I’ll not be talking with you much more like this because the chief of this godless world is about to attack. But don’t worry—he has nothing on me, no claim on me. But so the world might know how thoroughly I love the Father, I am carrying out my Father’s instructions right down to the last detail. “Get up. Let’s go. It’s time to leave here.” 1 Corinthians 15:51-57 The Message (MSG) 51-57 But let me tell you something wonderful, a mystery I’ll probably never fully understand. We’re not all going to die—but we are all going to be changed. You hear a blast to end all blasts from a trumpet, and in the time that you look up and blink your eyes—it’s over. On signal from that trumpet from heaven, the dead will be up and out of their graves, beyond the reach of death, never to die again. At the same moment and in the same way, we’ll all be changed. In the resurrection scheme of things, this has to happen: everything perishable taken off the shelves and replaced by the imperishable, this mortal replaced by the immortal. Then the saying will come true: Death swallowed by triumphant Life! Who got the last word, oh, Death? Oh, Death, who’s afraid of you now? It was sin that made death so frightening and law-code guilt that gave sin its leverage, its destructive power. But now in a single victorious stroke of Life, all three—sin, guilt, death—are gone, the gift of our Master, Jesus Christ. Thank God! 1 Corinthians 1:12,13 New Living Translation 12 Some of you are saying, “I am a follower of Paul”; and others say that they are for Apollos or for Peter; and some that they alone are the true followers of Christ. 13 And so, in effect, you have broken Christ into many pieces. But did I, Paul, die for your sins? Were any of you baptized in my name? John 13:34-35 Amplified Bible (AMP) 34 I am giving you a new commandment, that you [a]love one another. Just as I have loved you, so you too are to love one another. 35 By this everyone will know that you are My disciples, if you have love and unselfish concern for one another.” John 17:20-26 The Message (MSG) Jesus’ Prayer for His Followers 20-23 I’m praying not only for them But also for those who will believe in me Because of them and their witness about me. The goal is for all of them to become one heart and mind— Just as you, Father, are in me and I in you, So they might be one heart and mind with us. Then the world might believe that you, in fact, sent me. The same glory you gave me, I gave them, So they’ll be as unified and together as we are— I in them and you in me. Then they’ll be mature in this oneness, And give the godless world evidence That you’ve sent me and loved them In the same way you’ve loved me. 24-26 Father, I want those you gave me To be with me, right where I am, So they can see my glory, the splendor you gave me, Having loved me Long before there ever was a world. Righteous Father, the world has never known you, But I have known you, and these disciples know That you sent me on this mission. I have made your very being known to them— Who you are and what you do— And continue to make it known, So that your love for me Might be in them Exactly as I am in them. Matthew 17:1-8 The Message (MSG) Sunlight Poured from His Face 17 1-3 Six days later, three of them saw that glory. Jesus took Peter and the brothers, James and John, and led them up a high mountain. His appearance changed from the inside out, right before their eyes. Sunlight poured from his face. His clothes were filled with light. Then they realized that Moses and Elijah were also there in deep conversation with him. 4 Peter broke in, “Master, this is a great moment! What would you think if I built three memorials here on the mountain—one for you, one for Moses, one for Elijah?” 5 While he was going on like this, babbling, a light-radiant cloud enveloped them, and sounding from deep in the cloud a voice: “This is my Son, marked by my love, focus of my delight. Listen to him.” 6-8 When the disciples heard it, they fell flat on their faces, scared to death. But Jesus came over and touched them. “Don’t be afraid.” When they opened their eyes and looked around all they saw was Jesus, only Jesus Revelation 22:1-13 The Message (MSG) 22 1-5 Then the Angel showed me Water-of-Life River, crystal bright. It flowed from the Throne of God and the Lamb, right down the middle of the street. The Tree of Life was planted on each side of the River, producing twelve kinds of fruit, a ripe fruit each month. The leaves of the Tree are for healing the nations. Never again will anything be cursed. The Throne of God and of the Lamb is at the center. His servants will offer God service—worshiping, they’ll look on his face, their foreheads mirroring God. Never again will there be any night. No one will need lamplight or sunlight. The shining of God, the Master, is all the light anyone needs. And they will rule with him age after age after age. 6-7 The Angel said to me, “These are dependable and accurate words, every one. The God and Master of the spirits of the prophets sent his Angel to show his servants what must take place, and soon. And tell them, ‘Yes, I’m on my way!’ Blessed be the one who keeps the words of the prophecy of this book.” 8-9 I, John, saw all these things with my own eyes, heard them with my ears. Immediately when I heard and saw, I fell on my face to worship at the feet of the Angel who laid it all out before me. He objected, “No you don’t! I’m a servant just like you and your companions, the prophets, and all who keep the words of this book. Worship God!” 10-11 The Angel continued, “Don’t seal the words of the prophecy of this book; don’t put it away on the shelf. Time is just about up. Let evildoers do their worst and the dirty-minded go all out in pollution, but let the righteous maintain a straight course and the holy continue on in holiness.” 12-13 “Yes, I’m on my way! I’ll be there soon! I’m bringing my payroll with me. I’ll pay all people in full for their life’s work. I’m A to Z, the First and the Final, Beginning and Conclusion. Deuteronomy 29:29 English Standard Version (ESV) 29 “The secret things belong to the Lord our God, but the things that are revealed belong to us and to our children forever, that we may do all the words of this law. Introduction Dear brethren, welcome to the eleventh (11th) part series on The Christian Church. Today, we are exploring the question about life, especially death and the hereafter. Does God really keep us in the dark about physical and spiritual things? Check the scriptures from Genesis to Revelation and to this present day how God continues to lavish us His children with abundant information to help us appreciate and accept who He is, His plans and desires for mankind and the fact that He is still speaking if we care to listen, pay attention and take necessary steps, we will experience His awesomeness in our day and age. More importantly, we will experience His peace which surpasses all understanding. We are inundated with news of wars and rumors of wars, earthquakes, kidnap, terrorism, rigging of elections, corruption, BREXIT, impeachments, trade wars, church splits, building collapse and the latest crash of the Ethiopian airline with 157 souls and we seems not to be able to make sense of it all. In all of the confusion, it is easy to loss site of God and His eternal plans. I want to draw our attention to what He is saying today and through eternity…read these from the Fathers heart through various messengers as we navigate the ever changing and tempestuous world around us. 7) “You are wise to doubt yourself. But true faith depends on God, not yourself, and not your faith. You are close to the kind of faith that can move this mountain, and move it must. It is time to carry it to places that it has not gone to before. “Heaven is much greater than we could have dreamed while on earth,” he began. “This room is but the threshold of realms of glory that are far beyond the ability we had to comprehend. It is also true that the second death is much more terrible than we understood. Neither heaven or hell are like we thought they were. If I had known on earth what I know here I would not have lived the way that I did. You are blessed with a great grace to have come here before you have died.” he said while looking at my garments. “How could you be the least?” I asked with disbelief. I was really surprised by this, but I also knew that no one could lie in that place. “The foolish virgins gnashed their teeth in the outer darkness,” I protested. 12) Just when I thought I would collapse under the weight of this terrible discovery, a man who I had known and esteemed as one of the great men of God I had known, came forward to steady me. Somehow his touch revived me. He then greeted me warmly. He was a man that I had wanted to be discipled by. I had met him, but we did not get along well. Like a number of others I had tried to get close enough to learn from, I was an irritation to him and he finally asked me to leave. For years I had felt guilty about this, feeling that I had missed a great opportunity because of some flaw in my character. Even though I had put it out of my mind, I still carried the weight of this failure. When I saw him it all surfaced, and a sick feeling came over me. Now he was so regal that I felt even more repulsive and embarrassed by my poor state. I wanted to hide but there was no way I could avoid him here. To my surprise, his warmth toward me was so genuine that he quickly put me at ease. There did not seem to be any barriers between us. In fact, the love I felt coming from him almost completely took away my self-consciousness. “It is true that you were prideful, but that is not why I was offended with you. I was offended because of my insecurity, which made me want to control everyone around me. I was offended that you would not accept everything that I said without questioning it. I then started to look for anything that was wrong with you to justify my rejection. I began to feel that if I could not control you that you would one day embarrass me and my ministry. I esteemed my ministry more than I did the people for whom it was given to me, so I drove many like you away,” he said. As he talked, his words were striking me deeply. I, too, was guilty of everything that he was relenting of. Many young men and women who I had brushed off as not being important enough for my time were now passing through my mind. How desperately I wanted to return now and gather them together! This grief that I began to feel was even worse than I had felt about wasting time. I had wasted people! Now many of these were prisoners of the enemy, wounded and captured during the battle on the mountain. This whole battle was for people, and yet people were often regarded as the least important. We will fight for truths more than for the people for whom they are given. We will fight for ministries while running roughshod over the people in them. “And many people think of me as a spiritual leader! I am truly the least of the saints,” I thought to myself. “If that is true, that you became an enemy of the gospel, how is it that you are still here?” I questioned. “You are here because you prayed for the Lord to judge you severely, to correct you ruthlessly, so that you could serve Him more perfectly. This was one of the most wise requests you ever made. The wise judge themselves lest they be judged. The even wiser ask for the judgments of the Lord, because they realize that they cannot even judge themselves very well. Having come here you will leave with far more wisdom and discernment, but on earth you will always see through a glass darkly to at least some degree. Your experience here will help you to know men better, but only when you are fully here can you know them fully. When you leave here you will be more impressed by how little you know men rather than by how well you know them. This is just as true in relation to the histories of men. I have been allowed to talk with you because I have in a sense discipled you through my writings, and to know the truth about me will help you greatly,” the great Reformer concluded.